Abstract: The article presents the most popular wiki solutions and provides an analysis of features and functionalities based on organisational needs for the management of knowledge. All wiki solutions are compared to usability, search function, structuring and validation of knowledge. The online encyclopaedia Wikipedia has become a distinguished brand. 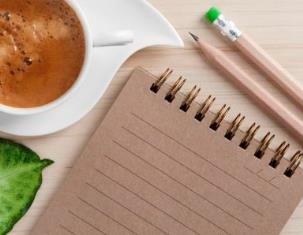 Users can write articles, post comments or make changes to articles. The approach is based on a simple principle: create and edit content. Today, Wikipedia has already become an important part in many people’s daily lives. In this paper the importance of Wikipedia will be considered as an indicator for the potential and the success of wiki software outside the Wikipedia world. The concept of Wikipedia offers many opportunities for organisations. There is a large variety of software tools available in the market. The only prerequisite is that the wiki concept is implemented in a suitable way. To be successful with the implementation process, organisations will have to rely on appropriate methods and techniques to familiarise managers and employees with the wiki concept. However, the wiki concept should not be considered as a one-fits-all model. It has to be tailored to the particular needs of an organization such as culture or organisational structure. This paper, first, presents a list of wiki software and specifies requirements for the effective use of the software in organisations (chapter 2). After that, features and functionalities of the software solutions are presented (chapter 3). The second part of the paper gives an overview of advantages and disadvantages of the software solutions with respect to the postulated requirements (chapter 4). Finally, the paper concludes by highlighting the main challenges of using wikis in organisations and summarises incentives for stimulating the knowledge transfer by means of enterprise wikis (chapter 5). Wikis encompass many aspects of knowledge management and active communication between employees in organisation. Using wiki software helps analyse, structure, gain and transfer knowledge, experience, skills, and networks within an organisation. Wikis encourage the process of informal learning. The exchange and creation of knowledge are part of daily business life. Generally, organisations want to make sure that the name of an author—the provider of knowledge—appears in the article. Roles and permission are individually managed in order to protect valuable knowledge—such as customer knowledge from misuse. However, the intention of organisations to track and monitor relevant decisions and activities is hardly consistent with the traditional wiki concept offering each and every user the possibility to modify articles anonymously. Using wiki software effectively is neither limited to particular forms of organisations nor specific use cases and scenarios. The application of a wiki is particularly useful in knowledge-based organisations where employees spent most of their time working with a computer. The size of the organisation does not matter for efficiency. Wikis can be used in small research departments as well as organisation-wide for the purpose of documenting project results. Wikis tend to be more readily accepted in organisations with flat hierarchies. There are several wiki software applications available at the market. The portal WikiMatrix provides the opportunity to compare almost all wiki applications. The available applications range from simple product providing only very basic features up to powerful software solutions offering many features exceeding the specific functions of a wiki. The wiki software has to be a known and recognised software application. It has to be technically matured, launched and established on the market (a. Development Status Mature). This aspect guarantees long-term availability and further developments of the wiki software. The degree of activity of the community behind the software and the number of support partners can be an indication of the maturity level of the software (b. Commercial Support). 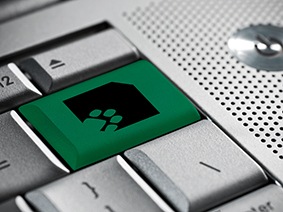 Security – wikis used in organisations are accessible exclusively to employees. Additionally, some parts of the application are only accessible to a limited number of authorised persons. All staff are given access rights and privileges. Wikis have to meet specific levels of security that are set by the organisation. Levels of security are c. Page Permissions (area-specific access), d. Access Control Lists (rights for users or groups per page). Customisability – wikis have to be adaptable to the needs of organisations. A certain similarity in menu navigation and procedures of interaction are important to increase user acceptance. Design and layout should be adaptable to corporate design guidelines. Customisability includes e. Plugins. Large organisations tend to deploy plug-ins only in small numbers. Plug-ins have to fulfil certain organisational requirements which leads to a situation where only necessary feature are used. Systems integration – the wiki software should allow the integration with existing systems. The f. LDAP user authentication and g. Active Directory will be used as indicators. Employees should use their personal login details for email, internet and the wiki software. This approach can ease administration. Furthermore, office and Microsoft SharePoint might be important, too, in this context. Ease of use / usability – ease of use helps employees to more readily accept the wiki software and become productive on it. This includes h WYSIWYG text editors (“What you see is what you get“- corresponds to text processing with Office programs), i. Page Templates (previously defined template structure similar to Office templates). The range of criteria used in the evaluation of wiki software has to be extended to more technical aspects. Depending on the size of an organisation, different criteria have to be considered. For example, large organisations using database systems base their decision for a wiki on whether or not the software solution can be connected to their database. If the mentioned criteria are taken into account as basic requirements, the list of available Wikis narrows down to only seven out of hundred possible software solutions (according to the WikiMatrix database). The following chart provides a list of all seven Wikis together with the above mentioned criteria. Some of the features can be provided only by means of plug-ins. MediaWiki, however, does not support Access Control Lists. 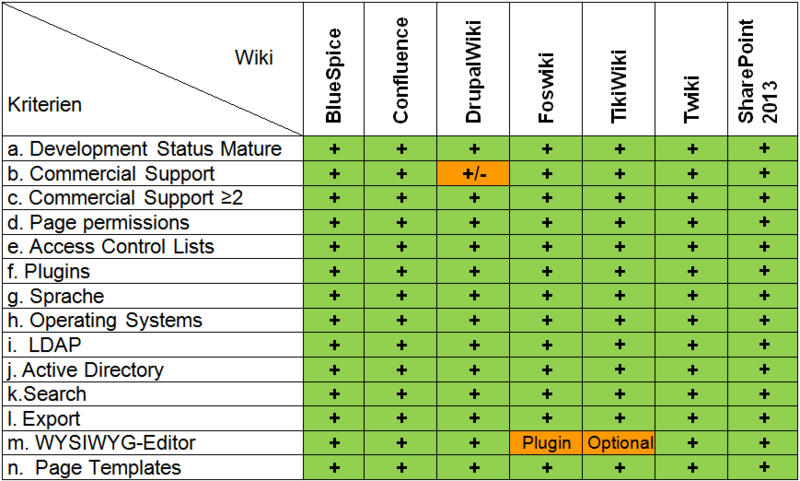 For DrupalWiki there are a small number of support providers. The following analysis will not include the contended wiki of Microsoft, the most popular software development company. The wiki was considered as rudimental and has therefore been upgraded with the new release of Mircrosoft SharePoint 2010. The wiki now fulfils all basic requirements. Mircrosoft SharePoint 2010 provides two different approaches—wikis in team sites and enterprise wiki templates. The upload of images and multimedia material has been improved and a text editor is now available. The user can define keywords and evaluate the sites. The authors of this study assume that Microsoft SharePoint 2010 still has some improvements needed. As soon as there is customer feedback available the software solution can be included in this study. The individual needs of an organisation should have a huge impact on the management’s decision for wiki software. Enterprise wikis offer a wide range of multiple features. A general recommendation cannot be given. Choosing which wiki is most appropriate strongly depends on the intended features and functionalities. Before choosing an application, organisations should be aware of their expectations on the intended software solution. The following chapter presents seven enterprise wikis that are assumed to be appropriate for the use in organisations. 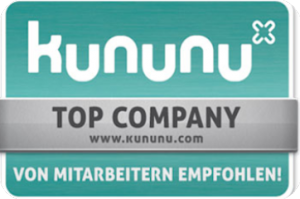 Confluence is the most popular commercial enterprise wiki. Confluence offers a wide range of key features and additional functionalities that are important in the business context. The wiki provides a WYSIWYG editor (rich text editor) with features comparable to Mircrosoft Word. Confluence is very popular and already widely used in organisations. With its user-friendly design Confluence allows creating content easily. Content can be organised into spaces, hierarchies, subpages as well as by means of keywords and links. With Confluence users can search all content, including attachments. The software provides ScharePoint integration and allows editing content with Microsoft Office. With the office connector Confluence supports the import of office documents. Users are assigned roles and permissions. The workflow plug-in supports broad workflow capabilities as part of content approval and publication and helps ensure the quality of contents. With Confluence users can create a new version of existing attachments and decide who can add or open attachments. Confluence is a commercial product and therefore requires a license (see open source wikis licensed under the General Public License, GPL). Confluence is used by over 8100 organizations in 94 countries around the globe. Drupal is a free content management system providing the platform DrupalWiki. DrupalWiki is aimed at organisations and supports creation of content. The content is stored in a database and can be categorised. With Drupal users can create blogs, provide a forum or discuss with each other. Users can be assigned roles and permissions. The wiki allows users to search all content, including attachments. It provides a document management system as well as closed project and team rooms. DrupalWiki allows users to define individual workflows while being able set fine grained permissions on each state transition. The application is based on a powerful enterprise 2.0 architecture and can be integrated with IT environments such as SAP, Magento or SharePoint. DrupalWiki has already been chosen by more than 300,000 users. MediaWiki was created to meet the needs of the online encyclopedia Wikipedia and is the most popular wiki solution. This open source solution is constantly being refined. Its greatest strength lies in its popularity and user acceptance. Ease of use and a design which ensures readability and clarity are principle design features of MediaWiki. Additionally, every wiki page has an associated talk page which can be used for discussion and communicating with other users. Users can add keywords (tagging) with MediaWiki. It provides a plug-in-based WYSIWYG editor which, however, lacks usability and is currently in beta phase. MediaWiki was developed for the use as open wiki software in the internet. This approach, however, entails disadvantages and problems for organisations using the wiki. The management of rolls is limited to three groups of users (anonym, signed on user, and administrator). Users can just partially lock pages for editing. The assignment of permission and roles is achieved by extensions. Finally, there is no access control page available—an instance which does not meet the safety requirements of a corporate wiki software solution. Foswiki came into existence byFoswiki separation of the TWiki community. The most obvious advantage of both, Foswiki and Twiki, is the simple programming of applications by means of metadata. A number of plug-ins helps extend the features of Foswiki. Foswiki provides similar functionalities as TWiki. TikiWiki CMS Groupware – TikiwikiTikiWiki is an efficient open source content management system including a wiki with additional features such as blogs and workflow management. The wiki provides access restriction and management of rolls. However, the wiki is known for being cluttered with distracting features. TWiki was designed as a collaboration platform and is suitable for the structured storing of information. 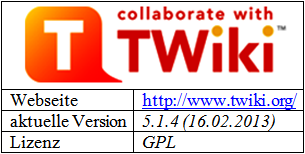 TWiki was developed using Perl. There is no database required for storing information. The software uses plain text files to store data which leads to a lack of security standards. Twiki is primarily used in intranets of medium and large organisations. Users can easily be assigned roles and permissions. TWiki allows internal and external users to access the wiki. They can create new versions of existing contents which are structured in webs, topics and attachments. A web is a collection of pageTwikis that are related closely together and that include any given number of topics. Topics can be structured. A topic contains data (text) and meta-data (such as author name, last up-dated) and attachments. Images, pictures, and tables can be inserted in the text. TWiki is already widely known and has been implemented by many organisations. After the community has separated and Foswiki has come into existence, the TWiki community became smaller and less active. The development has been restrained. A WYSIWYG editor and the permission and role management component are implemented by default. Variables and forms can be processed using the wiki syntax. All wikis presented in chapter 3 are verified according to the four sections. The authors took a closer look at some already mentioned basic requirements which were more or less met depending on the relevant wiki software. The analysed features and functionalities of the wikis are rated with excellent, satisfactory, and poor. The availability of features and functionalities is rated with Yes, No or partial/plug-in. This section provides a detailed analysis of usability aspects including creation of contents, comments and discussions as well as export and import of documents. Easy content creation – all wikis provide comparable features to ensure ease of use for user comfort. Features such as WYSIWYG editor (at least available as plug in) and file attachments can be considered as basic requirements for enterprise wikis. Confluence provides special usability benefits allowing users to edit wikis directly in Microsoft Office. Files can be imported with drag and drop. Comments and discussions – all software solutions offer different approaches such as blog-like comments, blogs and forums or discussion pages. Confluence, Drupal Wiki, and TikiWiki provide simple but fully-developed commenting functions. DokuWiki and Foswiki offer this feature as plug in. MediaWiki offers this feature for all articles. Export / import – with all wiki solutions documents can be exported to PDF, available at least as plug in. Confluence offers this feature by the office connector. Drupal optionally supports office import. If an organisation intends to motivate as many employees as possible to use an enterprise wiki, Confluence and DrupalWiki seem to be the most promising wiki solutions because of a user-friendly interface and community-oriented features. 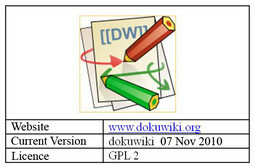 Users of DokuWiki, TWiki, and Foswiki face many entry barriers to use the software because of poor user-friendliness. The decision for or against wikis is often influenced by the prejudice of less structured document repositories. The following paragraphs list a range of functionalities that allow users to store and access documents easily. Creating content areas in wikis – content areas in wikis can be created with all wikis presented in this article. However, it has to be considered how much effort is required to create a comprehensive structure. The structure of content areas can be broken down into more precise levels. Confluence supports easy structuring of content areas as well as MediaWiki, although MediaWiki provides no native functionality and far more administrative effort is required. Rights and permission – wiki users and user groups (with exception of MediaWiki) are provided with rights and permission. MediaWiki does not provide an access control list. Users are divided into three different groups of users—anonymous, registered users, and administrators. Classification – the advantage of MediaWiki lies in its flexibility in classifying content into subject categories. Confluence, for example, allows tags but has no functionalities for assigning categories. Linkage – all presented software solutions allow users to link the content of the wiki. However, different effort is required to embed links to other pages. Some of the wikis—such as Confluence, Drupal, and MediaWiki—have a link system which supports users in linking contents and updating of links if content is renamed or moved within the system. The structure of available knowledge has a great impact on the efficiency of an organisation as employees (and their tacit knowledge) may change divisions, tasks are outsourced and long product cycles require reusing stored knowledge. Therefore, wikis used for knowledge management are supposed to provide taxonomies. Almost all wikis come off well in that. Especially Drupal Wiki provides several functionalities, not least as this wiki software has been developed from a content management system. Again, whichever software solution is chosen, organisations have to make sure that all relevant requirements are met. Besides accessing content with classifications, search and notification functionalities are presented in the following paragraph, including push and pull method. Search – all analysed wikis provide full text search capabilities; however, searching in attachments is only partially provided, i.e. by Confluence, DrupalWiki, Foswiki, TikiWiki, and TWiki. Confluence presents a set of search results, while standard search in MediaWiki directly refers to the relevant document. Permanent access – this criterion shows possibilities of external access via internet and mobile phone. Email notification and RSS feed – this criterion shows possibilities for monitoring of changes in relevant documents. The search is considered as standard functionality in knowledge management wikis. However, in spite of a growing smart phone market, almost all wikis are not set up to cope with this demand. Employees who travel a lot might identify a clear need to use the wiki with their smart phone. TikiWiki heads the list of wikis for this criterion. The availability of content stored in knowledge management systems raises some concerns with regard to the quality of content. There are a few questions to consider such as who is the author of a document; to what extent does the author of a document need to be an expert; has the document been altered by other users; has the document been assessed by an expert? Wikis provide a number of functionalities to answer all the questions. Statistics – all wikis help to keep track of changes users made to a document. Additionally, there are functionalities which provide information on hits per page and user activities. Information on authors – this feature helps users to find out personal details about the author of a document such as departmental membership, expertise, and project experience. Workflow – Today, wikis for organisational use are mostly based on a workflow. Documents are managed through the workflow and approved for release. TWiki and Foswiki provide a simplified workflow system. Confluence and Drupal offer complex workflows. With MediaWiki communities can determine which workflow would be used. There are usually only a small number of users who write and validate documents in enterprise wikis. Therefore, the choice of a wiki solution has to correspond to the individual needs of the organisation. However, the statistic feature of all wiki solutions is supposed to be improved as knowledge management still has to justify its activities inside and outside the organisation. This makes it all the more important that wiki users represent their knowledge management achievements and provide more details on that particular subject. The success story of Wikipedia cannot be repeated with wikis in the organisational context. Intranet wikis provide the same features as wikis used on the internet; however, intranet wikis are used in a completely different environment. Choosing the right wiki software requires an analysis of user needs and wants. If the wiki is intended to be more than a playground for a tiny minority of hobby bloggers, organisations will have to consider the following aspects: wikis are popular and well-known tools; wikis provide comprehensive security concepts, flexibility, and adaptability; wikis offer relevant interfaces and the usability of the software meets the needs of users and their work environment. If these elementary requirements are taken into account, the number of possible wiki solutions will decrease significantly. For the selection criteria Knowledge Management across the Organisation – Ease of Use; Structured Knowledge Base; How to Access Knowledge – Using Search Functions and Quality Assurance / Evaluation of Documents the organisational requirements can vary greatly. If employees have less or no experience of collaboration software, usability will do a great deal to convince them that the software is a worthwhile investment helping them to perform better in the workplace. Businesses with a skilled workforce would appreciate the possibility to expand the functionalities of the software and add plug-ins. Whatever an organisation’s prerequisites and hopes for using a wiki software, employees need encouragement to participate in knowledge management activities. Organisations, therefore, need to show their employees how they can benefit from the new software and provide easy access to knowledge shared with the wiki. The efficiency of a wiki largely depends on how much knowledge and information is produced and shared. If the wiki is not regularly used, knowledge can easily become obsolete or remain incomplete. 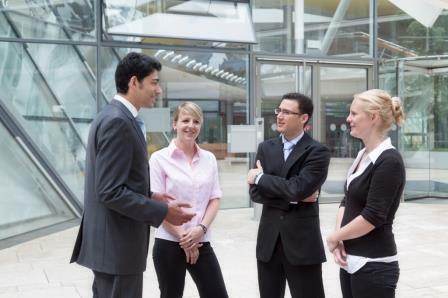 Employees need encouragement to share knowledge across the organisation and to give credit to those who share their knowledge. Once the wikis is implemented, it should become a routine part of an employee’s everyday working life—from the first sign in. There is a large number of wikis available at the market. The choice of an appropriate software solution can be therefore complex and time consuming. The right wiki software can be found. It will be the one that is as individual as the organisation and its particular requirements. http://www.atlassian.com/software/confluence/customers.jsp found 2 September 2010. J. Moskaliuk Das Wiki Prinzip, in: Moskaliuk, Johannes Konstruktion und Kommunikation von Wissen mit Wikis. Theorie und Praxis. Boizenburg 2008, S. 17-27. MediaWiki & Co – Endbericht Konzeptionierung und prototypische Realisierung eines Wikis als Wissensmanagement-System für ELIXIA Austria GmbH Club Wien, S. Anderlik, P. Kirchmeier, C. Sternbauer. A. Hingst, Wikibility – Faktoren für eine erfolgreiche Einführung von Wikis als Wissensmanagementtool in Unternehmen, Masterarbeit an der Universität Duisburg –Essen, 23. 01. 2009. A. Dirsch-Weigand, R. Heigl, Das Wiki als Intranet 2.0.: Erfahrungsbericht der Industrie- und Handelskammer Darmstadt, Dezember 2009. R. Heigl, Die Freiheit zu lernen. SharePoint, Wikis, Knowledge Management. März 2009. Frost, I. & Rohs M. “Nachhaltigkeit und informelles Lernen in der Online-Enzyklopädie Wikipedia” In: Informelles Lernen und Bildung für eine nachhaltige Entwicklung, edited by Brodowski, M.; Devers-Kanoglu; Overwien, B.; Rohs, M.; Salinger, S. & Walser M. Barbara Budrich Opladen & Farmington Hills, MI. 2009. 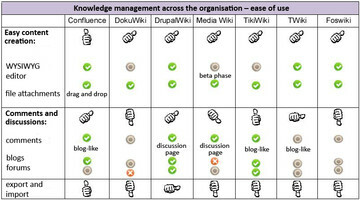 Request complete Study "Wiki Software for Knowledge Management in Organisations"